To all but true boxing fans and connoisseurs, he was the moderate heavyweight champion who beat a much adored legend and came heroically close to beating another. You have to wonder if Ezzard Mack Charles, the great Cincinnati Cobra, ever grew sick of people asking him about his fights with Joe Louis and Rocky Marciano. Tap Ezzard’s name into your search engine and the names of Louis and Marciano will invariably pop up just as often. Charles was a slick and skilful heavyweight when he beat the ageing Louis in 1950, and in the final stages of his dying greatness when he ran Rocky to the wire in the first meeting at Yankee Stadium in 1954. But the greatest Ezzard Charles, the lithe and dangerous fighting machine that could do it all, wasn’t even a heavyweight. Nothing ever seemed to fit as comfortably as it should have done with Ezzard, as bad luck and untimely circumstances combined to fashion a fractured and frequently misunderstood career. The young Cobra beat many an illustrious opponent with his precise and educated punching, yet Lady Luck seemed to bite him back just as often. The record book can be as cold and unfeeling as a computer in telling us the story of a man’s life, offering up the bare details and perhaps the occasional, explanatory asterisk. In the case of Charles, numerous asterisks and explanations are required. The standard bio of Ezzard continues to be a perfect example of a square peg being jammed into a round hole: his date of birth, his birthplace, a quick skip through his amateur career and then a straight jump into his reign as a low key heavyweight champion. You won’t find as much as a cursory nod to the greatest years Charles ever had as an exceptional middleweight who blossomed into one of the greatest light-heavyweights ever seen. For the real Ezzard Charles was the biggest nugget in a goldmine of outstanding talent in the early to late forties. Let us take a little time to ponder the tremendous depth in quality of the light-heavyweight and middleweight divisions when Ezzard was at his best. Swimming in the same dangerous ocean were the likes of Charley Burley, Lloyd Marshall, Joey Maxim, Elmer ‘Violent’ Ray, Holman Williams, Leonard Morrow, Nate Bolden, Oakland Billy Smith and Curtis ‘Hatchet Man’ Sheppard. It seems almost trite to talk about the sometimes thin divisions of class between such craftsmen of the highest level. Each was a master of his trade because he had to be. This was the era of eight official weight divisions, the era in which the now devalued title of ‘world champion’ was accorded to one man only. The fighters of Ezzard Charles’ time learned their business thoroughly because they had to fight often against consistently tough opposition, often engaging in series of fights against each other. Charley Burley, for example, clashed seven times with Holman Williams, fought a trilogy with the bruising Fritzie Zivic and also crossed swords with Jimmy Bivins, Lloyd Marshall and Bert Lytell. Holman Williams was a story all by himself, notching 147 wins in 189 fights against the cream of the crop. Clever, cunning and skilful, Holman was one of those forever kind of fighters who probably looked like a grizzled old veteran when he came out of the womb. Sprinkled on his long record are the names of Jake La Motta, Marcel Cerdan, Archie Moore, Bob Satterfield and Jack Chase. Perennial contenders like Williams scrapped and scrambled for years in their attempts to climb to the top of the pile. For those who made it, there was still no guarantee of ultimate glory, especially for black fighters. Williams never got a title shot. Nor did Lloyd Marshall or Elmer Ray. Charley Burley retired without ever getting the chance to prove himself on the biggest stage. Even the great Sugar Ray Robinson considered Burley to be too risky a proposition. Archie Moore finally bagged a world title, but only after piling up more than 160 fights and getting messed around for years by the powers that be. 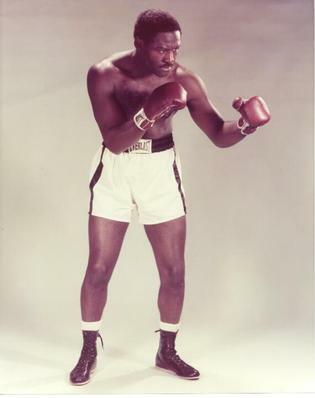 As a middleweight, Ezzard Charles couldn’t get a shot at champion Tony Zale, and was similarly frozen out by Gus Lesnevich in the light-heavyweight class. Consider what the Cincinnati Cobra achieved in the minefield of talent that we have examined. He scored three victories apiece over Archie Moore, Lloyd Marshall and Jimmy Bivins. He twice whipped the great and mystic Charley Burley in successive fights and also did the double over Joey Maxim and Oakland Billy Smith. To those names, you can add the stellar trio of Teddy Yarosz, Anton Christoforidis and the erratic but hugely dangerous Elmer ‘Violent’ Ray. This is not to decry the achievements of Ezzard Charles in the dreadnought division. He was actually a very good heavyweight and an underrated champion. But even as he was gaining universal recognition as the king of the hill by beating Louis, the Cobra had lost much of the speed, venom and killer instinct of his peak years. Everything seemed to be following a smooth and logical path when Ezzard started out. Born in Lawrenceville, Georgia, in 1921, he and his family moved to Cincinnati, where he would begin his boxing career at the age of fourteen. Charles was clearly a special talent even in those early days, quickly picking up the Diamond Belt and the Ohio AAU welterweight titles. Moving up to middleweight, he added the Golden Gloves and the National AAU title to his collection. He did all that in just 42 fights and nobody could beat him. His progress was similarly speedy when he turned pro, as he racked up twelve straight wins before dropping a decision to the skilful former middleweight champ, Ken Overlin. Ezzard drew with Overlin in a return, trounced Teddy Yarosz and registered his first big triumph with a third round stoppage of former NBA light-heavyweight champ, Anton Christoforidis. It was then that Charles had the first defining fights of his career, a couple of back-to-back duels with master mechanic, Charley Burley. During my early years as a boxing journalist, I had always wanted to know the exact nature of those two tantalising contests from 1942, because I certainly knew all about both men. My imagination would run riot as I pictured them locking horns in the prize-fighting equivalent of a long and engrossing chess match. For so long, those fights had been nothing more than simple results on each man’s record, with no hint of their shape or pattern. Imagine my surprise when I dug out the old newspaper reports and discovered that Charles had won both bouts handily, decking Burley with a classic counter punch in the final round of their first meeting at Forbes Field in Charley’s hometown of Pittsburgh. Few men dominated the masterful Burley in such a way during his 98-fight career. Charley was shut out for the first five rounds of that fight and hurt badly from a Charles attack in the seventh. It was a master class from Ezzard, sportingly acknowledged by way of an ovation from Burley’s fans. Charley had punched it out with Charles to little avail, but the adoption of a more cautious and scientific approach in the return match a month later at Hickey Park proved no more successful. Ezzard survived a few stormy moments to post another convincing decision. Charles was at the top of his game when he closed out the first phase of his professional career with a pair of unanimous decisions over the clever Joey Maxim. Then the Second World War interrupted his career as it did to so many other quality fighters who were in their prime. Army service meant that Ezzard could squeeze in only two fights over the next three years, and his lack of proper training cost him dearly. Both fights took place at the Cleveland Arena and Charles must have felt that his whole world had suddenly fallen in on him. He took seven counts against the cagey Jimmy Bivins in a unanimous points loss, but that was only the beginning of the nightmare. Next up was the ferocious Lloyd Marshall, who bounced Ezzard off the deck eight times before stopping him in the eighth round. But the Ezzard Charles armoury didn’t consist merely of skill, speed and punching power. He also had guts and determination in plentiful supply, and set about proving himself all over again after the war. And how! With his mind free once again to concentrate solely on his boxing, Ezzard seemed better than ever with a well trained and slightly heavier physique, which didn’t compromise his wonderful sense of timing. In July 1946, he avenged his loss to Marshall by surviving a first round knockdown to knock out Lloyd in the sixth at Crosley Field in Cincinnati. Four months later, Charles got off the floor again to outpoint Bivins at Duquesne Gardens. For good measure, Ezzard knocked out Bivins in four rounds in 1947, and also revisited Mr Marshall by bombing him out in two. That same year, Charles gave away significant weight to lose a hotly disputed split decision to Elmer ‘Violent’ Ray at Madison Square Garden, but evened the score by knocking out Elmer in nine rounds a year later. The incredible Ray was one opponent the top guys were glad to get past, or better still, avoid. A savage puncher, Elmer started out in 1926 and scored 70 knockouts in a twenty-three year, 101-fight career. In Archie’s book, there were two men who could fight and think better than the rest. One was Charley Burley. The other was Ezzard Charles. Archie crossed swords just once with Burley and got a good old licking for his troubles. But his failure to unlock Charles was far more prolonged and frustrating. In their first meeting at Forbes Field in May, 1946, Charles demonstrated his great jab and all-round skills as he glided to a ten rounds decision. In the sixth round, he emphasised his superiority by winding Archie and flooring him with a terrific left uppercut to the stomach. A year rolled by before the return match at the Music Hall Sports Arena in Cincinnati, where Moore made it a much closer fight. He got a draw from one judge but still dropped a majority decision. Nevertheless, he must have felt confident about his chances against Ezzard when they hooked up for their third encounter at the Cleveland Arena in January 1948. Archie gave it everything, looking good in the early going as he launched an impressive assault. But Charles had a mighty bomb in his arsenal and he dropped it with chilling suddenness in the eighth round. Moore’s uncanny sixth sense seemed to warn him of the imminent explosion, but he didn’t have enough time to haul himself out of the quicksand into which he had stumbled. It seemed that everything was finally right in Ezzard’s world after his memorable knockout of Moore, but fate was to wound him again. In his next match, Charles took on the twenty-one year old Sam Baroudi at the Chicago Stadium. and was given a stiff test for the first half of the fight. Baroudi was coming off a second round TKO of big-hitting Bob Satterfield and looked confident. But Charles was in a different class and thundered down the home stretch to unleash a big attack and knock out Baroudi in the tenth round. A famous photograph shows Ezzard snarling as Sam heads for the canvas. Baroudi never recovered from the onslaught, dying of a cerebral haemorrhage. The tragic incident had a profound effect on Charles’ life and his future attitude to boxing. He contemplated quitting the game, but Baroudi’s family urged him to continue his career. Thereafter, the vital bite was always missing from Ezzard’s work as his approach became more conservative and restrained. It was testament to his talent that he was still able to reach the top of the mountain without going flat out, but a new hesitance was there for all to see. That might well have been true of the heavyweight Ezzard Charles, although he showed this writer plenty of ardour and fighting heart in both Marciano fights. But it is certainly not a fair accusation to level at the young Charles, who didn’t squawk or quit or walk away from the game when Lloyd Marshall was giving him the battering of his life all those years before. Ezzard weighed 176lbs for the Sam Baroudi fight and would never compete at light-heavyweight again. The Cobra moved up to heavyweight to join the other big snakes as a lesser albeit still exceptional fighter. It was in the glamour division that he finally won his world championship and gained the worldwide recognition he deserved: after his true prime, after Sam Baroudi, after television had caught up with him and missed his greatest accomplishments. Most of the archive film of Ezzard shows him slipping over the hill and wasting away into the role of journeyman and trial horse. Isn’t life the damndest thing?